The Afghan is a great story lots of suspense and action. Forsyth did a good job of bring current events and history into a fast pace story. Robert Powell did an excellent job narrating the story. The ending was a bit different than the average story so it keeps you on your toes. You will enjoy this book. Very well written story of one the deep shadows of war. Excellent character development to flesh out he intrigue. Five stars in not nearly enough. I had to force myself to listen to this whole book! It was very boring and hard to follow. There were a few sections where I thought it was starting to pick up ..... but then it dropped off to boring again. Too bad ... it could have been a great story. 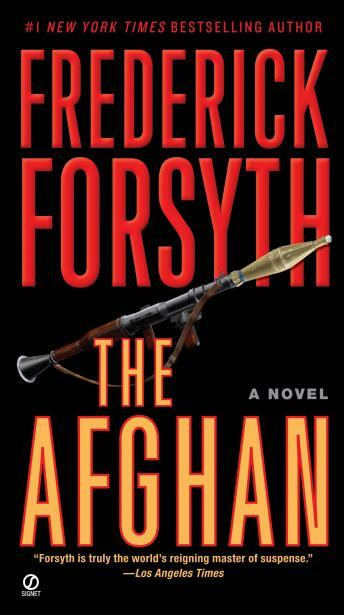 Frederick Forsyth is the master of mixing well researched factoids with nail-biting fiction. Not only does he provide the reader/listener with a tense thriller, but also the nagging feeling that this terrorist plot could actually be plausible. Really good book to listen on a audio format. Does not measure up to previous Forsyth novels like Day of the Jackal, but then not much does. Some of the sub plots are a little "simple" but overall an enjoyable "read". I thought I would like this book, and in concept I did, but I found that it was hard to listen to. There is just too much detail to get bogged down in- such that you find youself listening to 30 minutes about something that's only ancillary to the plot of the book. I like Forsyth when I can read it and skim the stuff I'm not interested in, but won't listen to him again. I love this author but found this book so hard to read. I am geographically challenged so this could have been some of the problem with this book but I found my mind wandering and it seemed that the book really bogged down. However, I may not have given it enough of a chance as I quit listening after about the first CD.